Audi Q3 Running Costs, MPG, Economy, Reliability, Safety | What Car? While rivals such as the BMW X1, Mercedes GLA and Volvo XC40 can be bought in entry-level form for less than £30,000, the Q3 starts at a smidgen above that figure. It is predicted to hold on to its value well, making PCP finance and leasing rates competitive, but again, the XC40 is even more affordable. Economy and CO2 emissions are pretty competitive, especially if you opt for an automatic gearbox or diesel. However, while the XC40 is generally a little thirstier, some rivals are likely to prove cheaper to run than the Q3. 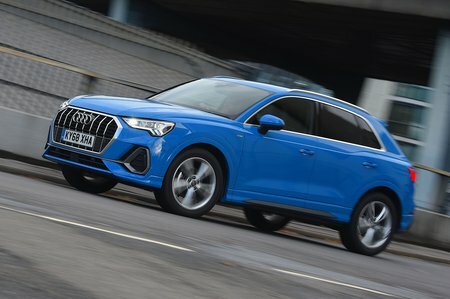 The entry-level Q3 Sport comes with such generous equipment that it's hard to justify spending any extra on higher trim levels. The standard kit list includes 18in wheels, LED front and rear lights, MMI Navigation Plus, dual-zone climate control, an electric tailgate and cruise control. The S line brings additional features such as 19in wheels and privacy glass that you’re more likely to want than need. It also comes with sports suspension that uses stiffer springs and dampers; some might find this setup a little firm over potholes. 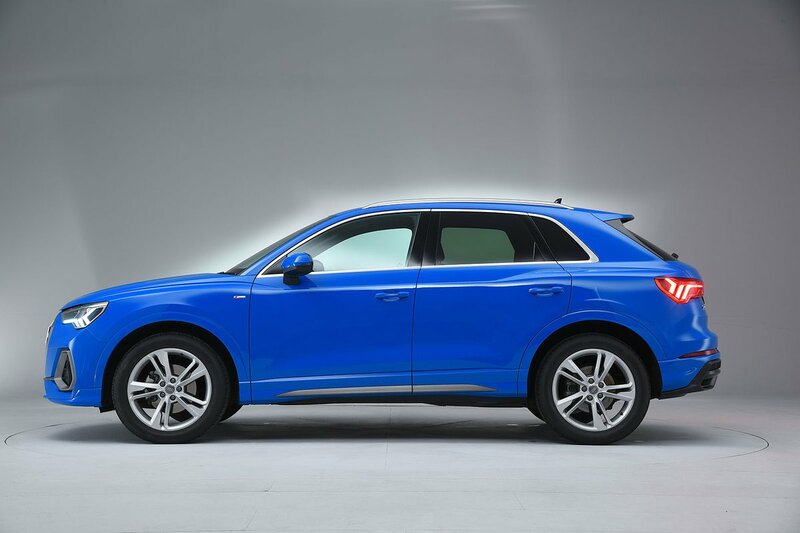 If money is no object, Vorsprung trim gives you a Q3 with virtually every option box ticked. You get massive 20in wheels of a similar design to those of the powerful Audi RS6 Performance estate, Matrix LED headlights, that Bang & Olufsen Premium 3D sound system and parking assistance with 360deg cameras. Perhaps best, though, is the adaptive suspension system we mentioned earlier, which makes such a big difference to ride quality. The latest Q3 hasn’t been around long enough to feature in the 2018 What Car? Reliability Survey, but Audi finished a slightly disappointing 20th out of 31 as a brand. This still puts it ahead of Jaguar and Mercedes-Benz, though. Audi provides every UK car with a three-year/60000-mile warranty. This matches those of Skoda and Volkswagen but falls short of the unlimited mileage warranties offered by BMW and Mercedes. The Q3 comes with automatic emergency braking and lane-keeping assistance as standard. Other safety features – such as lane-keeping assistance and adaptive cruise control – are optional. According to Euro NCAP testing, the Volvo XC40 protects adults and children a little better than the Q3 should you find yourself in a collision. Still, the Q3 did manage the second-best Euro NCAP crash test rating of 2018. 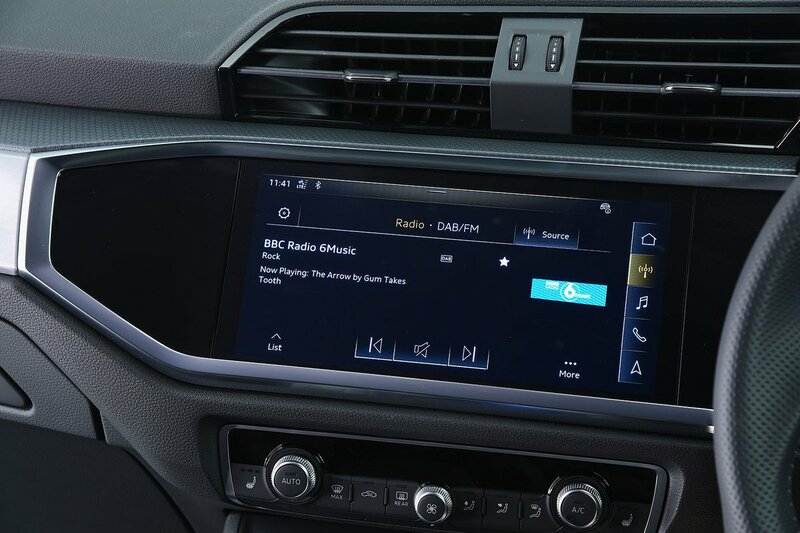 Thatcham Research has yet to test the car for security, but anti-theft measures include deadlocks and an alarm. The Q3 looks like a rather compelling proposition. It’s immensely practical, features a high-tech interior and is decent to drive. However, with the predicted best selling engine feeling a little rough around the edges, the diesel engine currently hamstrung by a vague manual gearbox and a ride that can't quite match the Volvo XC40, the Q3 isn't quite a class leader. Yet.